It’s been a few weeks since the last SPIDERDAY (sorry…). Here’s another edition of this feature, with links to some of my favourite stories about Arachnids. It was easy to pull this together this month, since it’s Arachtober. Here is a post that gives a nice history of Arachtober, and to further celebrate, here’s a wonderful gallery of beautiful spiders. Spiders in your bananas? Don’t panic. Stay calm. This is my read of the week. 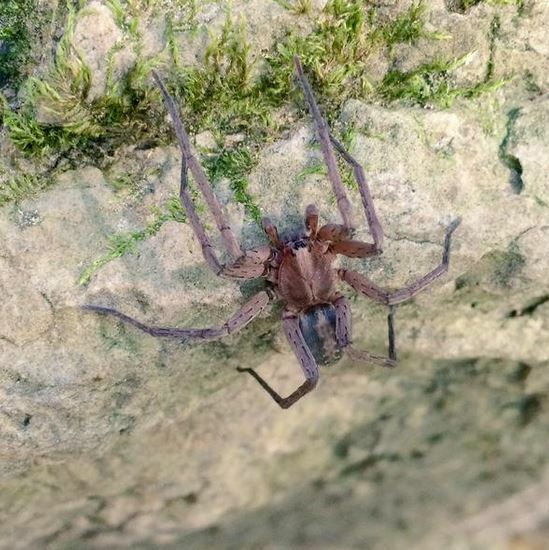 Found a venomous spider in Australia? There’s a drop-off centre for that. Africa Gomez has been *very* busy this month, doing new spider posts every day. For example, check out this lovely post about pirate spiders. Arrrrrrrrr!!! Um, why did the Tarantula cross the road? Worried that a wood-louse hunter might bite you? It might take a while for that to happen, even when you try really, really hard. A GIF of a funnel-web spider strike. For the taxonomists among us: Here is a revised and dated phylogeny of cobweb spiders. Nature’s spectacular patterns, spider style. Like mites? You might really, really like this post about Brazilian feather-mites. Boom: new Mite family in New Zealand. Solifugids sometimes have a bad reputation. However, they can be cuddly teddy bears of the desert. Arachnids fight it out: the secretions from the Opiliones (Harvestmenpersons) aren’t enough against scorpion, this paper shows. Yes, you will notice I wrote Harvestpersons. Here’s what happens when you poke Harvestpersons, and why we should call them Harvestpersons.